Clinic Synopsis: Ever wondered how to explore improvisation? Looking for engaging activities for your students? Unsure of how to build creative music-making skills, in yourself or others? This session will introduce you to activities and exercises for groups, adaptable for a wide variety of settings and suitable for musicians of many ages. Build your improvisational confidence in any genre, from classical to jazz, with these low-stress, high-fun, high-reward activities. Bring your instrument! 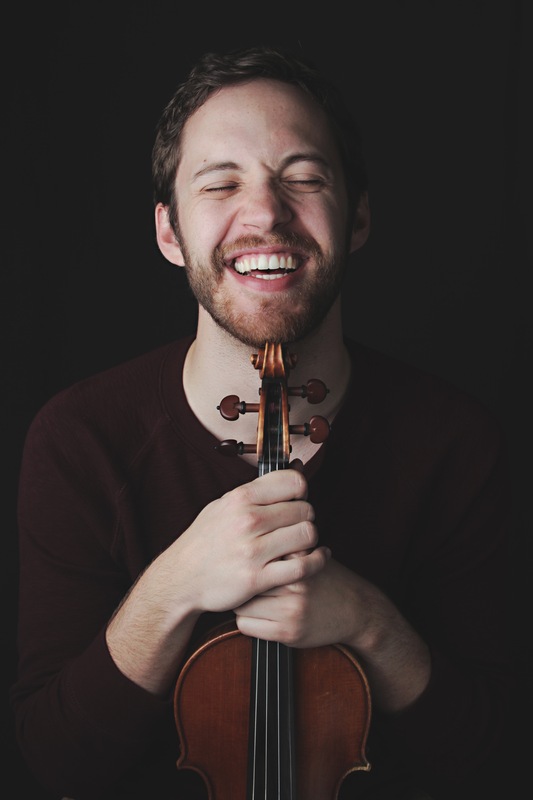 Clinician Biographical Information Hailed by a class of 2nd graders as “wreely nice and kind” and “the coolest man on erth,” Arizona native Taylor Morris enjoys blurring the line between violin and fiddle. After studying classical violin at Arizona State University with Dr. Katie McLin, he toured the world for four years as one of five fiddlers with Barrage, a world-music violin troupe based in Canada. His travels, both with Barrage and personally, have led to performances in 47 states and 13 countries with musicians from various backgrounds. Off stage, Taylor obtained a master's in education from Harvard University and is a passionate advocate for arts education. Since 2000, Taylor's teaching has taken him into classrooms around the country, with activities ranging from creating music-inspired art with kindergarteners to leading workshops at the University of Notre Dame, University of the Pacific, Arizona State University, American String Teachers Association National Conference, Harvard University’s Continuing the Conversation Arts Education Conference, and Arizona Music Educators State Conference. During the school year, Taylor's main project is serving as a founding co-director of the Gilbert Town Fiddlers, a high school fiddle group that collaborates to create its own arrangements for performance. Through his teaching, Taylor is ultimately on a serious mission to keep music as fun as possible, working with students and educators to explore the incredible variety of ways to make music.